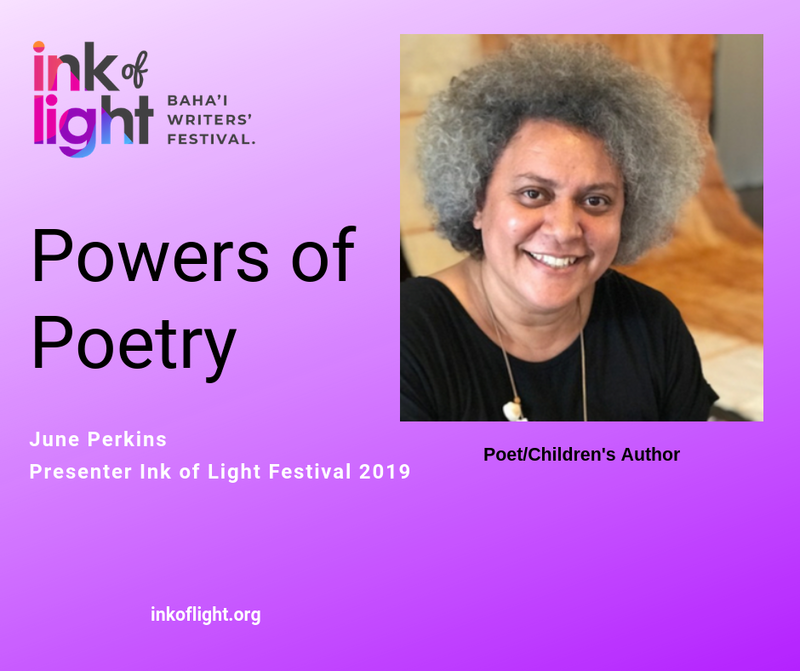 An award winning poetic celebration and exploration of nature, people and imagination in Far North Queensland. 17 poems, 48 pages in total, title index, 2 sections, 210mm X 284mm, extensive educational notes and suggested activities available. Suitable for reading with children all ages and for readers six and up. A treasured book to grow up with and revisit! Royal Dragonfly Award Winner, Second in Environment, Children’s Poetry, Picture Book for 6 and Over, Book Trailer and Honorable Mention for Cultural Diversity. 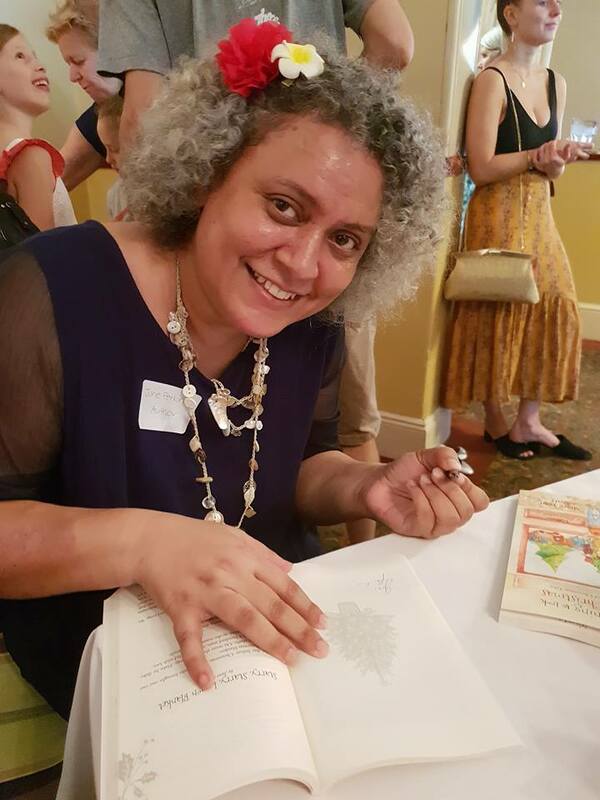 A special thank you to Write Links, Book Links, the Children’s Book Academy, the Inspiration Garden, Soul Food Writing buddies, friends from writing groups I have been in, blog followers, the Creative community of Far North Queensland and the Baha’is for their support. To find out about news of workshops, competitions, signings, reviews and more! 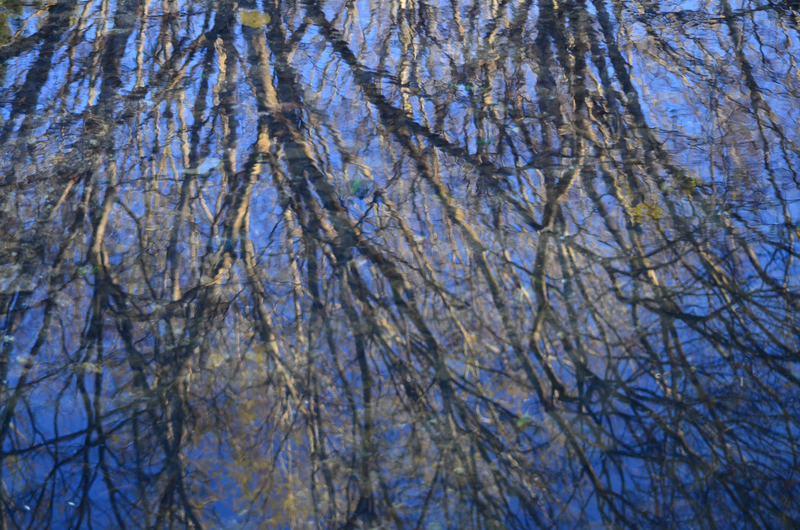 There is a poetry style, purpose and genre to suit EVERYONE. 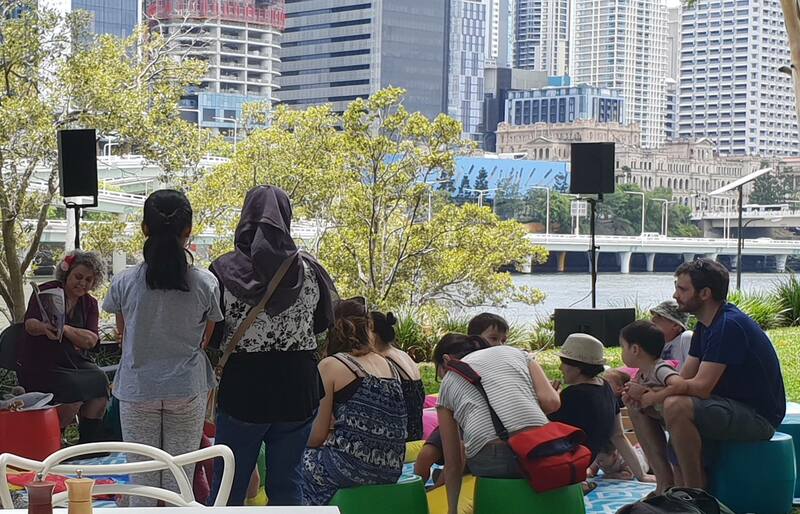 This workshop looks at community building through poetry, and how to renew, enjoy and discover not only the poems of others but the poems within you, as well as introducing you to poems you can compose with others. 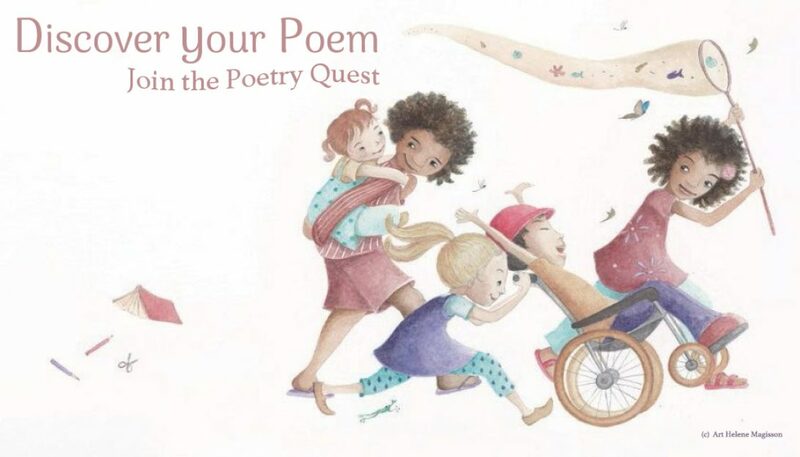 This workshop is for grown ups, but should give plenty of ideas to work with children to develop a life long relationship with the powers of poetry. First Appeared on Australian Children’s Poetry, February 13th 2019.
and see the face of my first character. and explain what she will protect. and what her life means. 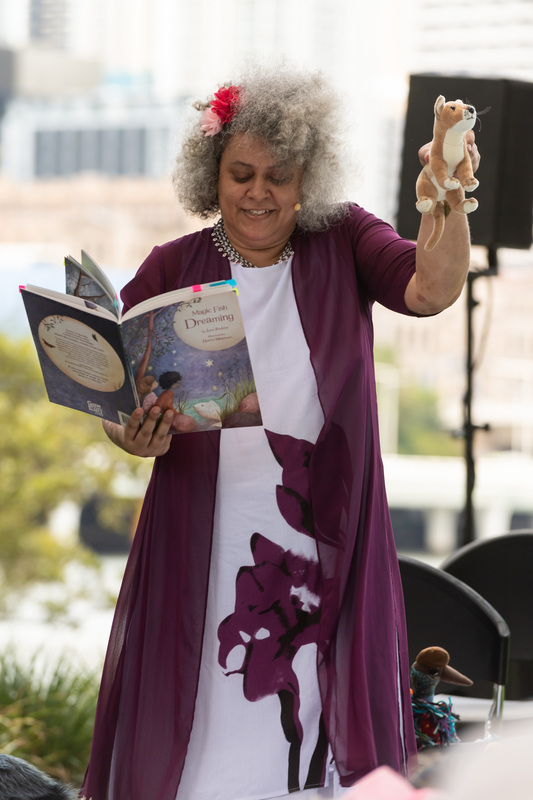 ‘In Spring 2018, June Perkins contributed some of her written works to the Words and Pictures project at Queensland Art Gallery. 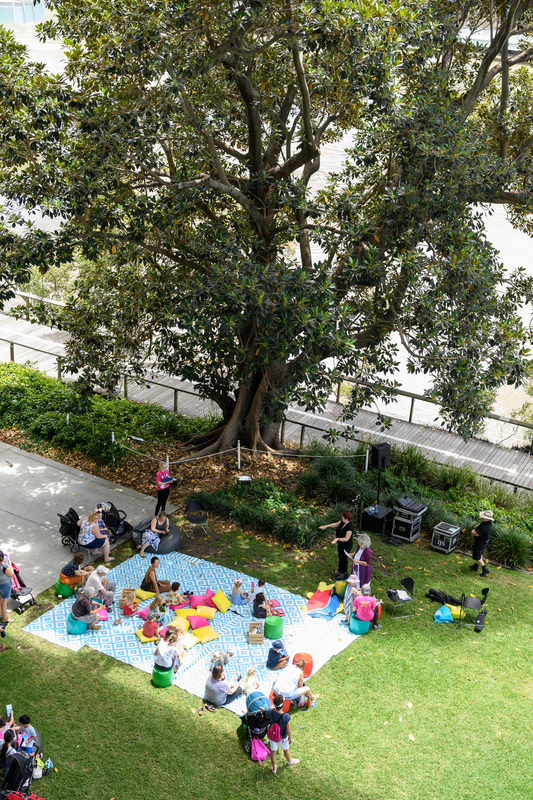 Each season we invite local artists and authors to respond to artworks in the Australian Collection. While these poems and stories were on display, June led an enthusiastic group of children and their grandparents around the gallery on a special tour for Grandparents Day. 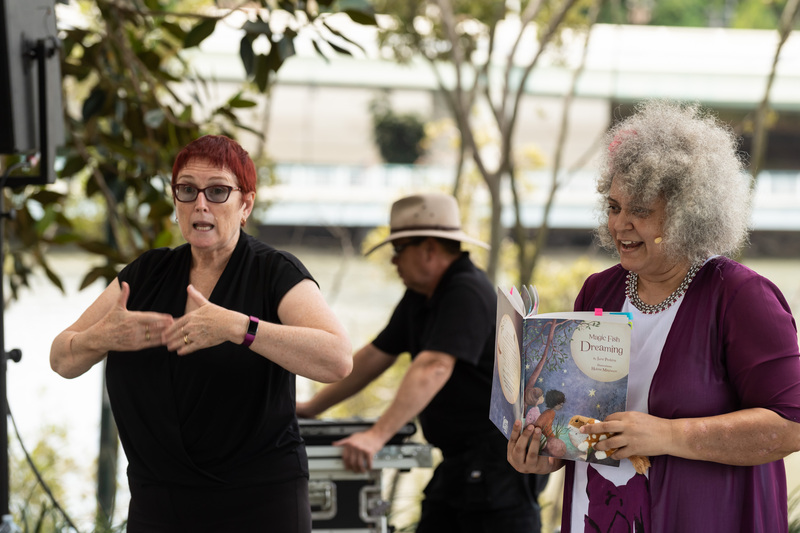 June was also invited back to QAGOMA to perform for three days at the APT9 Summer Festival Relax by the River space where she read some of her stories and Magic Fish Dreaming poems to a delighted audience of families. 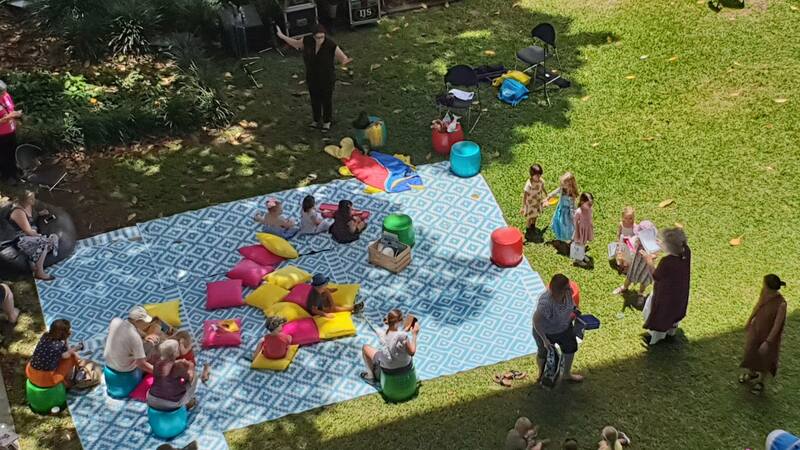 Report on APT 9 Summer Festival Storytelling Session From Pearlz Dreaming Blog. 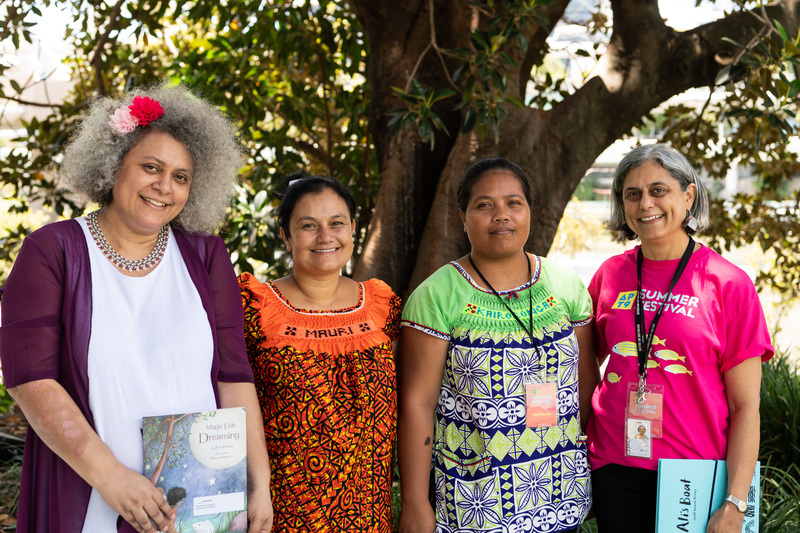 ​Come and relax under the fig tree by the river from 11.00am – 12.00pm and hear poems by poet and children’s author Dr June Perkins and stories from members of the Brisbane Kiribati community. Friday and Saturday Auslan Translating Available. 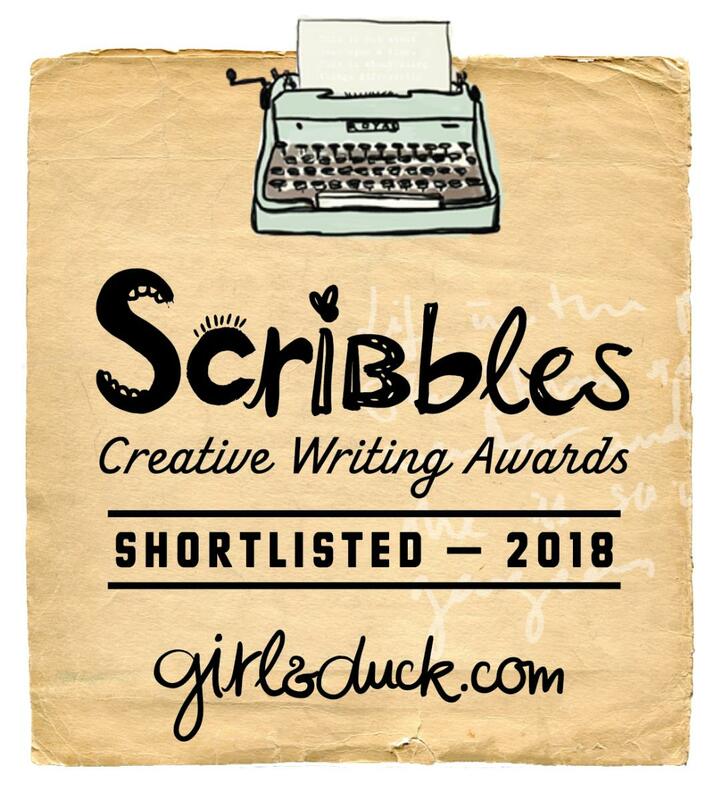 So delighted to receive a short listing for a middle grade fiction story in the Scribbles Creative Writing Awards. 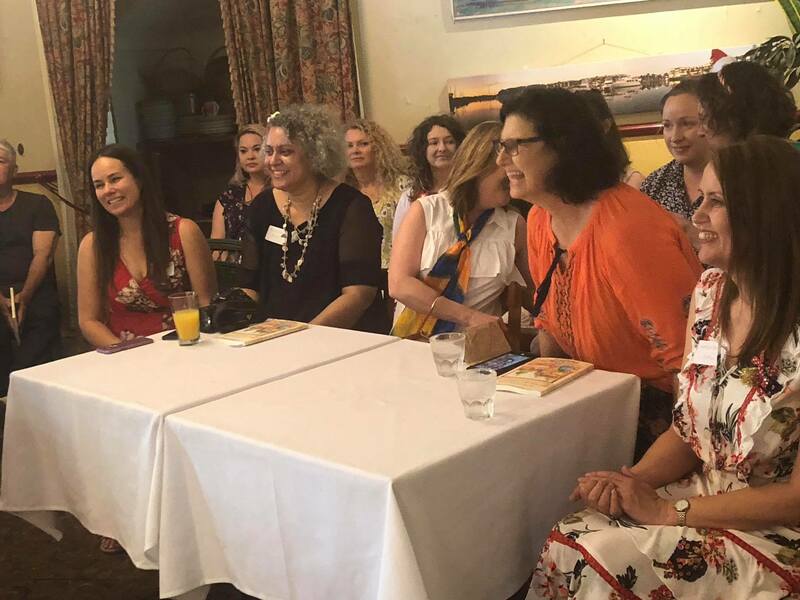 A warm congratulations to all winners, short listers, entrants and thank you to the judges for their feedback on my story. To see the rest of the Hall of Famers and to find out more about Girl and Duck head to website. 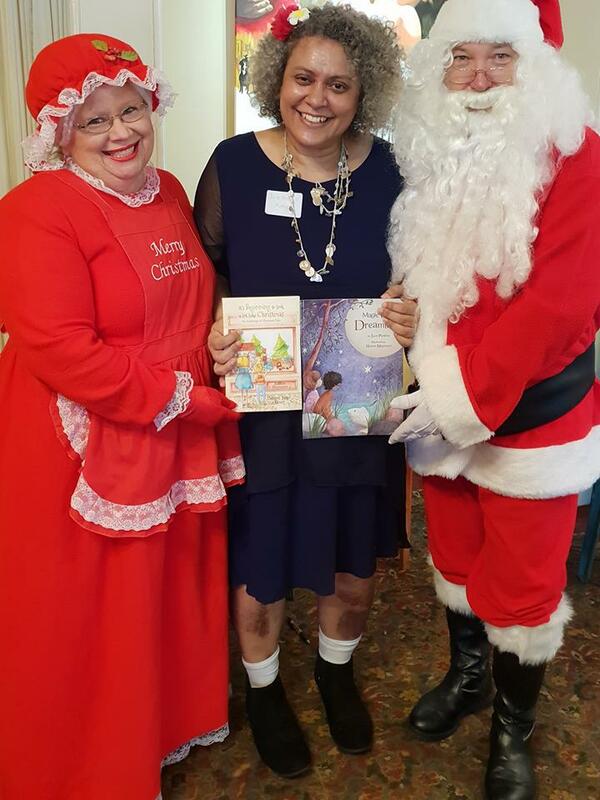 It was a joyful, festive atmosphere in which we celebrated the official launch of It’s Beginning to Look a Lot Like Christmas at the Grandview Hotel, Cleveland. And such a delight to hear people read their work. Contributions varied from gentle poems and stories, to hilarious stories. 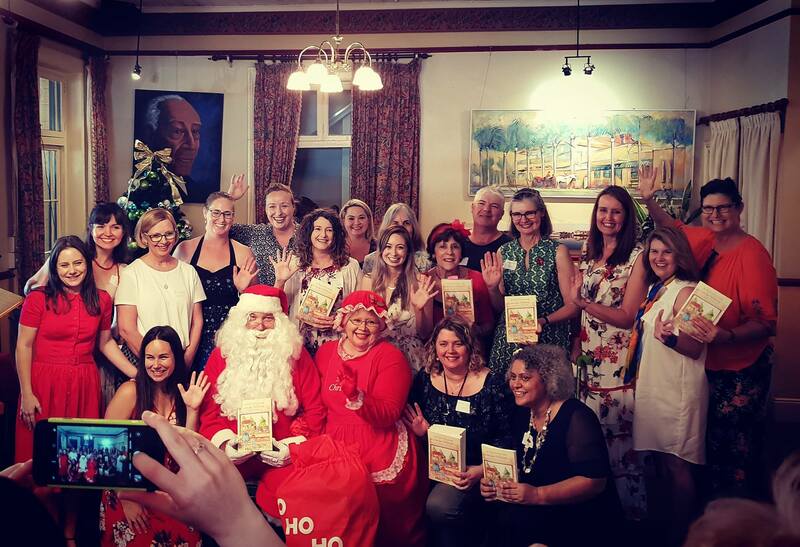 There really is something to suit everyone in this collection as well as a delicious and sometimes very humid taste of celebrating christmas in Australia. John Duke’s work was particularly loved by the children gathered and would I think make a brilliant picture book in its own right. 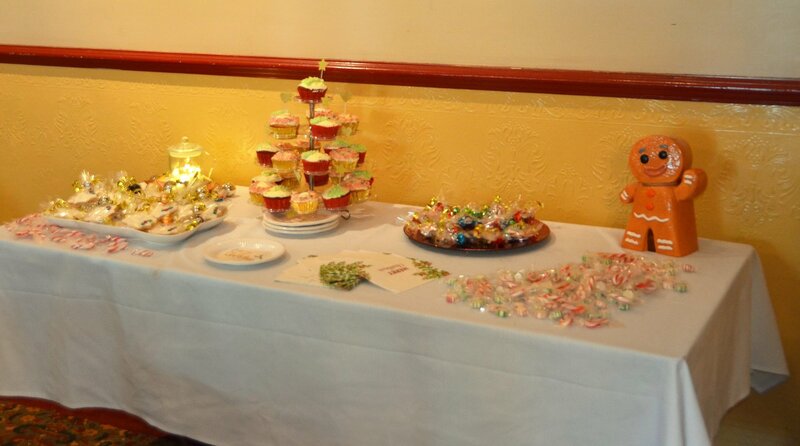 With so many infectious giggles rippling through the room it was definitely a big hit! All the other readers did a wonderful job, many presenting fragments so that families were just itching to read the rest of the story. OCD elves, toys longing to be reunited with their children . . . you’ll just have to read more. 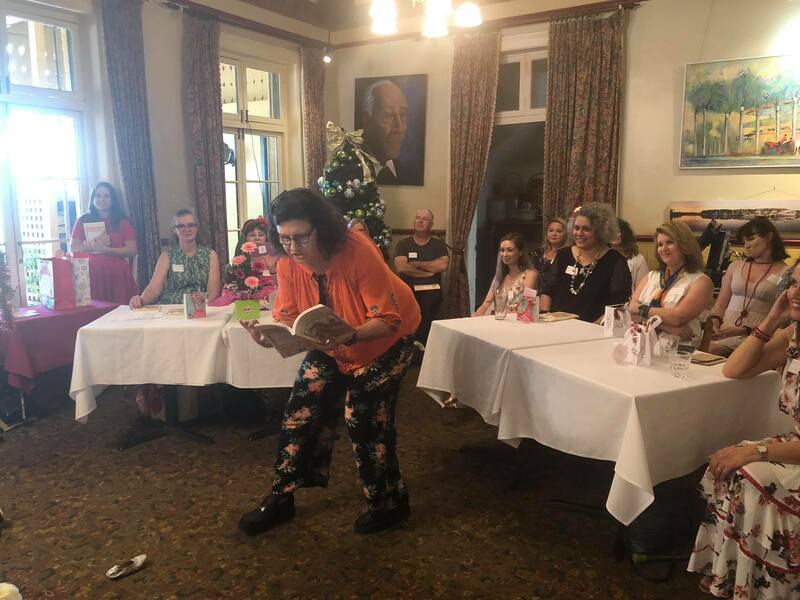 Maria Parenti-Baldey, the final reader, gave a dynamic and energetic performance to keep all enthralled. A particular congratulations to people who were published for the first time and possibly doing their first ever public readings! 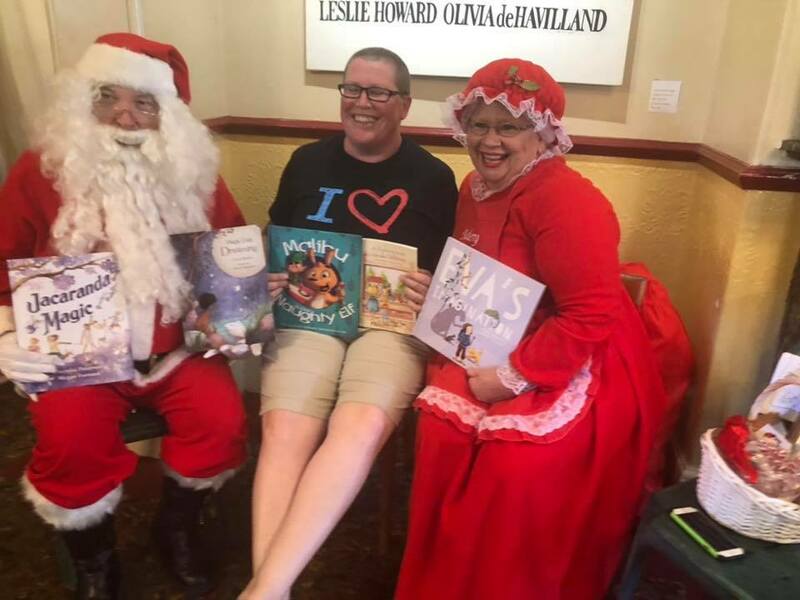 The children were so brilliantly behaved and engaged (well done all readers and parents and grandparents) and especially excited when Santa and Mrs Clause turned up! 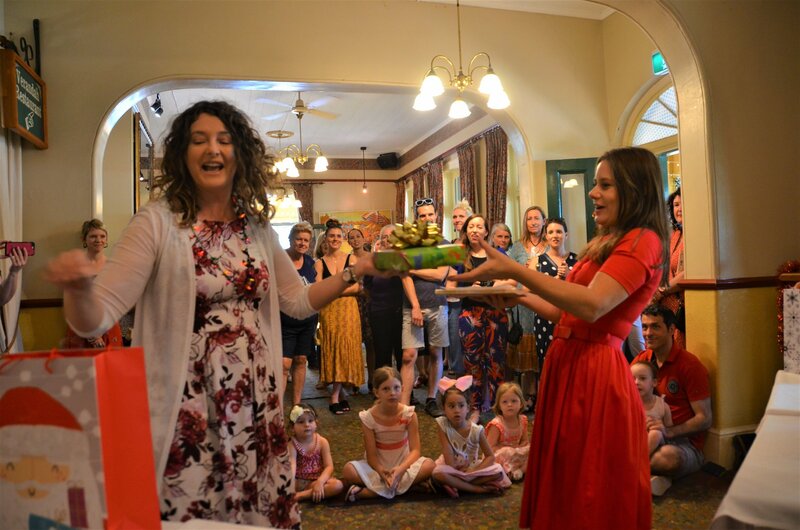 Congratulations to all the authors, illustrators and producers as well as all those who helped in anyway on launch day. Thank you to the team, especially Share your Story, Michelle Worthington, Julieann Wallace and to all the illustrators, especially Di Spediacci for the vibrant cover! This special collection seeks to raise money for bicycles for teachers in Tanzania. 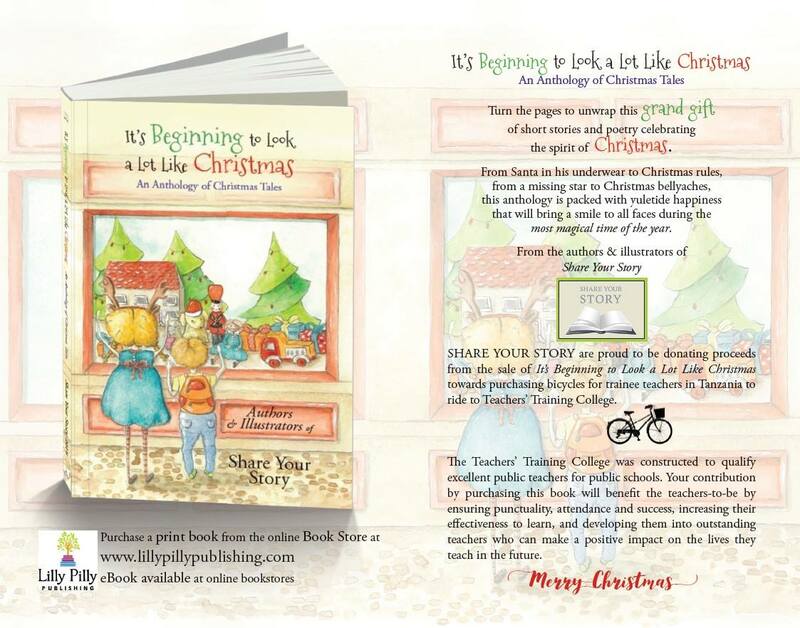 To ensure that a trainee teacher has every chance of punctuality, attendance and success, proceeds from the sale of the Share Your Story Anthology – ‘It’s Beginning to Look a Lot Like Christmas’ will be put towards purchasing a bicycle for the trainee teachers to ride to the Teachers’ Training College in Tanzania. Here are the details on how to purchase your copy! 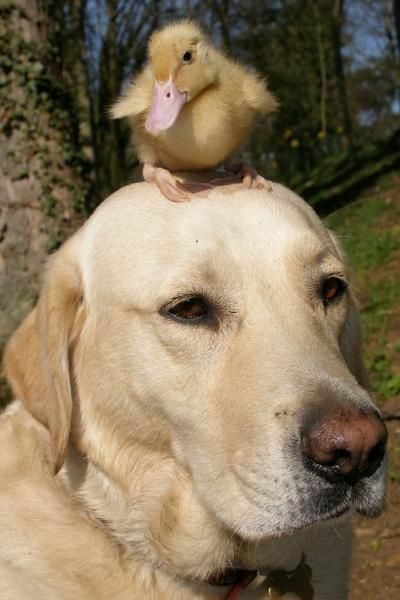 And don’t forget to leave a review on Good Reads or Amazon. Maria in the flow of reading. Some of the other books by authors featured in the Anthology. 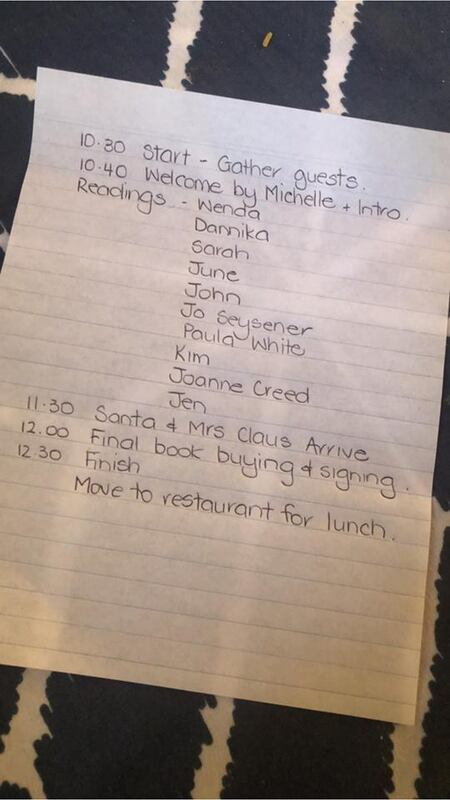 Meeting Mrs Clause and Santa. Various contributors enjoying the readings. Photo Credits: By various peoples at launch including me, family, Maria Parenti-Baldey, and other contributors.